Pests can really be a pain to get rid of and carry the threat of leading to health issues. Half of U.S. households have issues with rats and mice, for starters. It’s safe to say that insects are a constant threat to every home, too. There are ways you can work to prevent them that will take some time and attention but will work. Never feel defeated in the fight against pests, though. If they end up getting the upper hand, you can always call pest control. For those who are very budget-conscious, the best offense is a strong defense. There are a number of ways you can make your home unappealing to pests. Use this guide to find out if there’s anything you can do to turn the tables. Your first course of action will be making sure to keep your home very clean so the pests won’t have a food supply or places to dine. Food smells will bring them out searching for a meal, so store all food well–that means pet food, too. Auto-feeders are probably contributing to your pest problems (since they make pet food harder to get into). Take a look around your home for any holes and entry points providing pests access. Make it difficult for them to enter your home by sealing your windows and any holes in the walls. This is what the pros check during an inspection, learn more about preventing an invasion. Colder weather can create a bigger problem as pests begin looking for warmth. You will often notice more activity from them during the colder months that can border on infestation. Vents and small openings are exhausting your warm air, attracting all pests. Placing traps around those areas can help. An exterminator will treat these areas specifically, likely from the outside and inside. Dark and damp areas attract termites, cockroaches, and mosquitoes. If you have a moisture issue around your home you may need backup. At times, you may not realize that you have water pooling around or on your property. A good inspection of your home and an exterminator will help. A yearly termite inspection is highly suggested as well. They can burrow in very niche corners of the home that you won’t see from a simple perimeter walkthrough. Another sign of infestation is seeing bugs that typically come out at night, like cockroaches, during the daytime. This would be a great time to call in the professionals because fumigation may be needed. When it has gotten to this point the problem is beyond simple traps and cleaning. It is said that if you see a roach in your home, there are probably dozens more inside the walls. They live in dark, moist places, in your homes inner-most workings. Most pests leave an identifiable smell of their presence. Rodents will be the easiest to detect if they have nested in or close to your home. That musky odor of a rat’s bedding is unmistakable. The smells left by pests are quickly picked up by curious pets in the house. They can smell a rodent through the walls and floors. If your pet is spending a lot of time smelling a low-trafficked, clean, and food-free area: you might have a problem. If you suspect you have a roach or ant problem, try smelling the vents on your electronics. These are prime pest real estate, thanks to the warm and dark environments. They will live, breed, and lay waste in your electronicleaving behind a distinct stink. You may have to sacrifice your devices if they are turned into insect motels. Investigating the surrounding areas of your home is also important. If you can’t tell how bad your pest problem is, try looking outside. If their population is thriving in the outdoors, you may need to call pest control. Do you have a nearby dumpster, open trash cans, or piles of loose wood? These are invitations for rodent and insect hubs. Pests often travel between homes, especially roaches. The neighbor bombs their home after discovering roaches. The roaches flee, migrate to the garbage, or just head straight into your home. If you skip the exterminator and decide to bomb, too, the roaches go back next door. This is a vicious cycle that never ends unless you investigate outside. As we have mentioned, pay attention to your pets. Not just for fleas and ticks, but also house pests. Take care of your pets with the best flea and tick protection, first. Any unusual scratching not coming from fleas may be from other pests, like ants or roaches. Bed bugs are another huge culprit. Although they prefer human hosts, bed bugs will snack on any warm-blooded creature. Pay close attention to your pets’ behavior and health. Never allow them to suffer while you’re trying to wage a war by yourself. Professional pest control is the only guaranteed way to prevent pests from driving your family crazy. Call pest control if you are hearing scratches in your walls, noticing droppings or stains, or start seeing pests in new areas. It’s much harder to control pests when they have access to the entire home. This is a battle you can’t win without commercial products. There are times when some pests aren’t in season and have eggs just waiting to hatch and you do not want them to hatch. 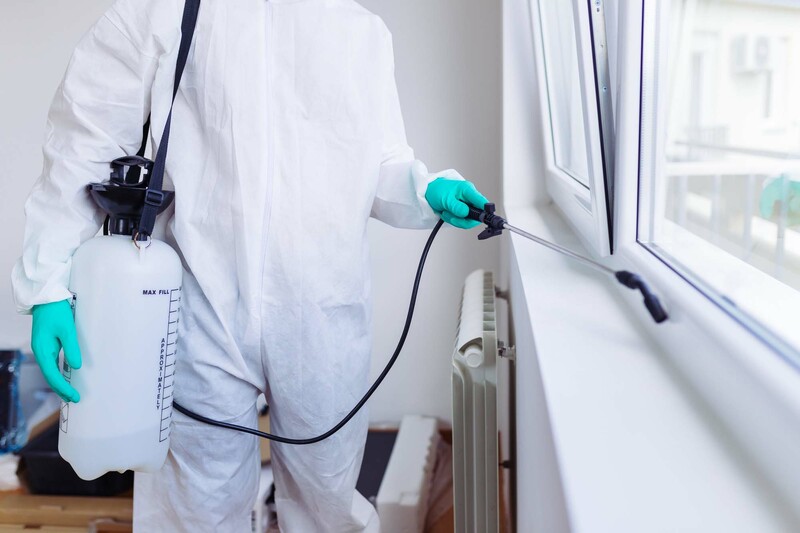 An occasional once over by a pest control professional can put your mind at rest and prevent some pests before they even become a health issue for you or cause damage to your home. After you call pest control, stay up-to-date on home maintenance. Internet vibes can help teach you more about owning a home, changing your lifestyle, and more. Live better, feel better, and worry less about things like household pests.